One hundred ninety-seven videos, 2.3 million followers and 6.7 billion accumulated likes. That’s the impression Wanna One left on V Live, as the project band, formed with the 11 finalists of a TV K-pop competition in the summer of 2017, ended its 1 1/2-year run Sunday. The boy band wrapped up its activities with a final concert in Seoul on Sunday. 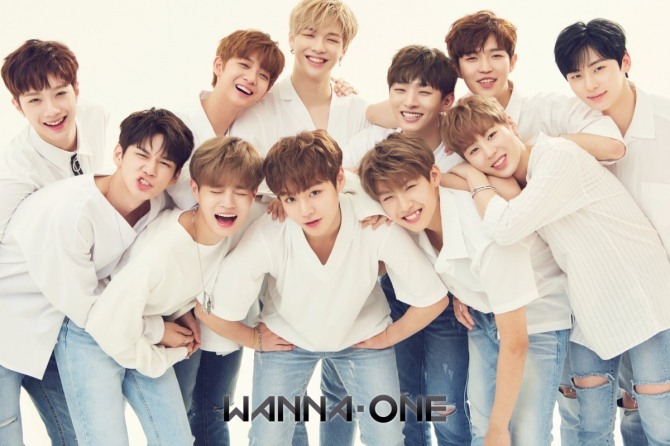 Throughout its 1 1/2 years, the bandmates actively communicated with fans -- collectively called “Wannable” -- via V Live, livestreaming from their homes, hotel rooms or backstage. Following are some essential videos of Wanna One to revisit. Near midnight Sunday, a short video titled “512 Days of Wanna One” was released on the act’s V Live channel, recapping key moments from the group’s predebut days up through that final concert. The video ends with “(We) will not forget our spring days,” written on a photo of the band onstage taken from behind. 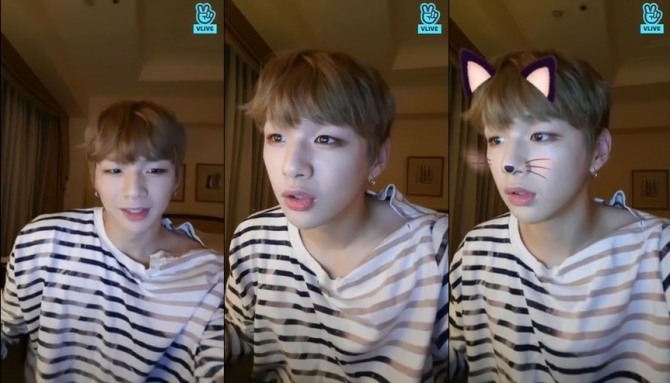 Kang Daniel’s solo livestream that aired in July 2018 was the most watched individual video on the act’s channel, with 1.46 million accumulated views. Kang, without prior notice, turned on the V app from his hotel room in Tokyo. He said he wanted to do a “counseling session” for fans and asked them to share their concerns and stories. But the broadcast ended up becoming a Q&A session with the singer. Later, bandmate Seongwoo visited Kang’s hotel room and joined the broadcast. Watch Kang’s broadcast at https://www.vlive.tv/video/79206?channelCode=DCD44B. Of all the videos the act aired as a group, the most watched was its team-building workshop aired on Aug. 10. It has been watched 2.6 million times. 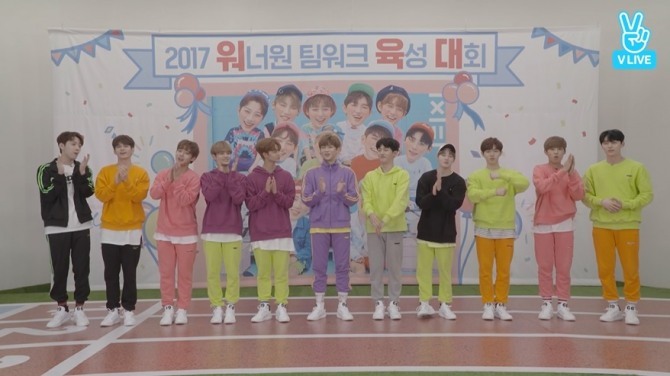 Sporting colorful tracksuits of yellow, orange, purple and pink, the group bonded together on the show following a popular TV game show format. They played games intended to strengthen teamwork, such as two bandmates folding paper together with each using only one hand. It was only the group’s fourth V Live broadcast and the first following the official debut. The video can be found at https://www.vlive.tv/video/37800?channelCode=DCD44B. 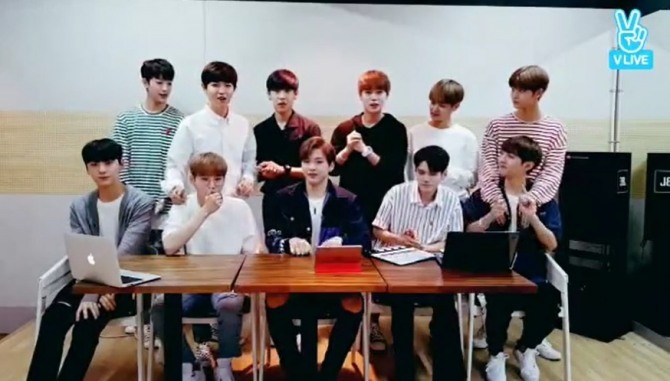 Wanna One made its official debut on Aug. 6, 2017 with the release of its first album, but before that the group aired its first V Live broadcast on July 15. The bandmates arranged themselves in a formal setting, with the front row sitting and the second row standing behind a table. They took turns introducing themselves at the start of the broadcast and answered questions from fans selected and prepared by staff in advance. Although some of them chatted casually, others looked a bit ill at ease. “Some of us were a bit nervous, and they couldn’t show 100 percent of what they’ve got. We will be more relaxed next time,” Seungwoo said at the end of the broadcast, while promising to communicate with fans often via V Live. The accumulated views for the video stand now at around 1.8 million, but that number has been rising as fans revisit the act’s very first V Live after taking in the last concert. Watch the clip at https://www.vlive.tv/video/35726?channelCode=DCD44B.